Exquisite design, understated finish and smart storage features make the Ashburn collection by Foremost a true design wonder. The Wall Cabinet in Grey provides versatile storage space with 2 adjustable shelves offering customizable storage behind 2 doors. Like other Ashburn pieces, this cabinet is accented with intricate top mouldings and satin nickel hardware for a stunning designer touch, complemented by sleek lines for a clean, elegant appearance. 12 Inch Veil of Mist Shaker Medicine Cabinet Timeless yet trendy, the Classic Collection of bathroom vanities, storage cabinets and mirrors from Cutler Kitchen and Bath is a perfect compliment to any bathroom. 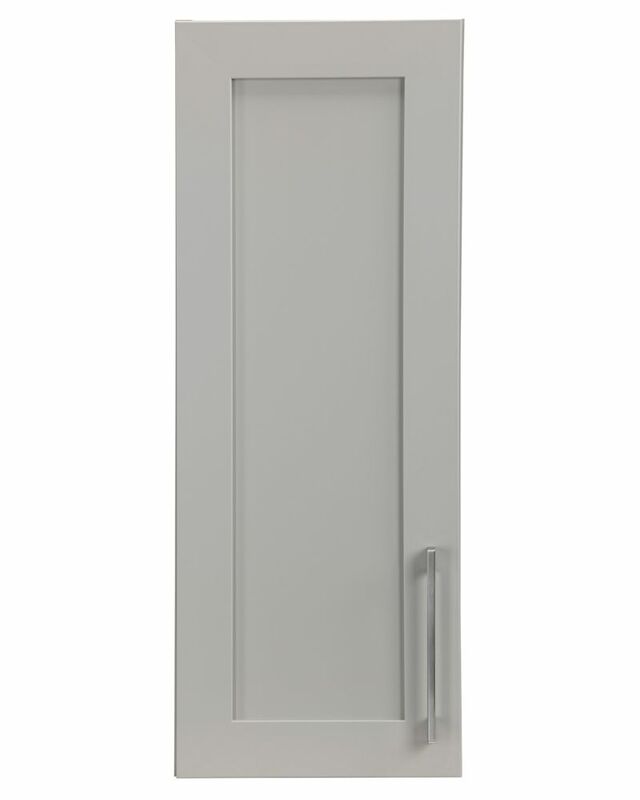 Medicine cabinets are available in 5 matching vanity colours and door styles, doors are fitted with brushed chrome handles and European soft closing hardware. Cabinets are supplied with adjustable shelves.